I have always dreamed of photographing a family in the snow. 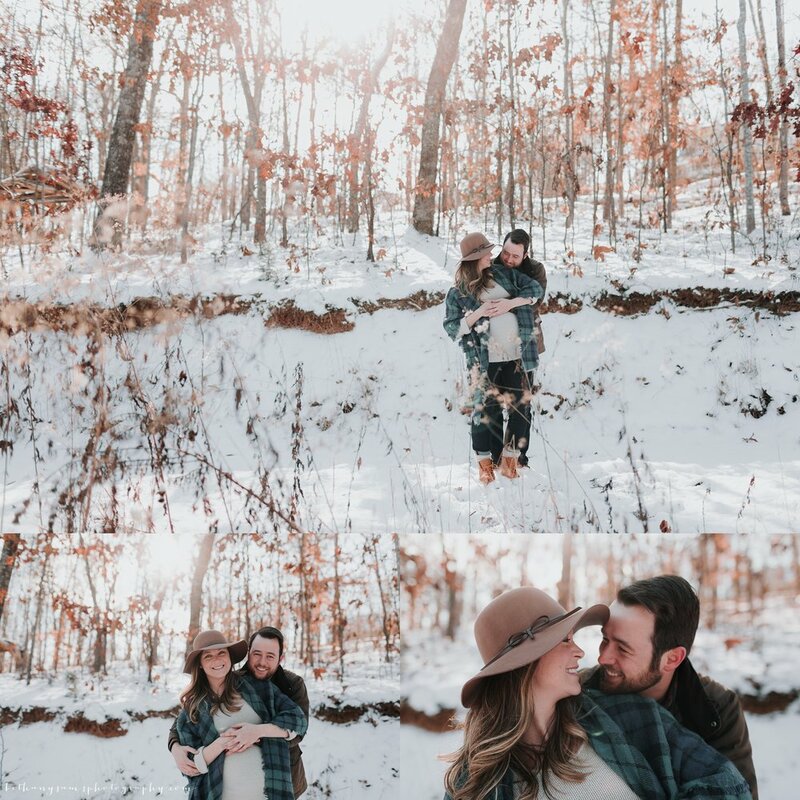 Snow is so rare and magical here in Tennessee that we can't plan for this type of session and even when it happens we can't garantee that we can make it to one another because of road conditions. But a couple of weeks ago it all worked out and I couldn't be more happy about it. I CANNOT wait to meet this little guy here in the next few weeks and see this sweet pair become a family of 3. Congrats Waring family! I love it when sessions end with me chatting with my clients for the longest time about how they are about to become a family of 4 and how the Lord is preparing their hearts for this new and exciting adventure. I can't wait to meet this family's new member just any old day now. Soooooo, I figured it was time to blog their spring/maternity/18 month session. I just love you guys and look forward to seeing your family grow!